'My Prettiest Daughter In The World' is about a story of a mother and three daughters living in modern day Korean society. 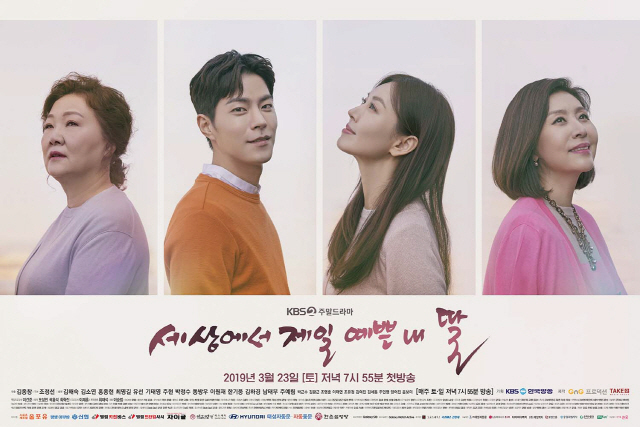 The drama conveys a message about the low fertility rate, divorce rate, and the problems of the younger generation who are avoiding marriage. According to a broadcasting company official on January 10, Kim So-yeon was cast as a protagonist in 'My Daughter is the Kindest' scheduled to be broadcasted in March 2019. She will play the role of Kang Mi rae/ Kang Mi Ri, a Marketing Strategy Manager, at Hansung Group. [Orion's Daily Ramblings] Kim Hae-sook and Choi Myung-gil Offered Weekend Drama "My Daughter Is the Kindest"
We got some exciting news gracing Korean portals, as actors Kim Hae-sook and Choi Myung-gil have been offered starring roles in upcoming KBS 2TV weekend drama "My Daughter Is the Kindest". There's really no way you can go wrong with these two, and I hope that they accept their offers soon. 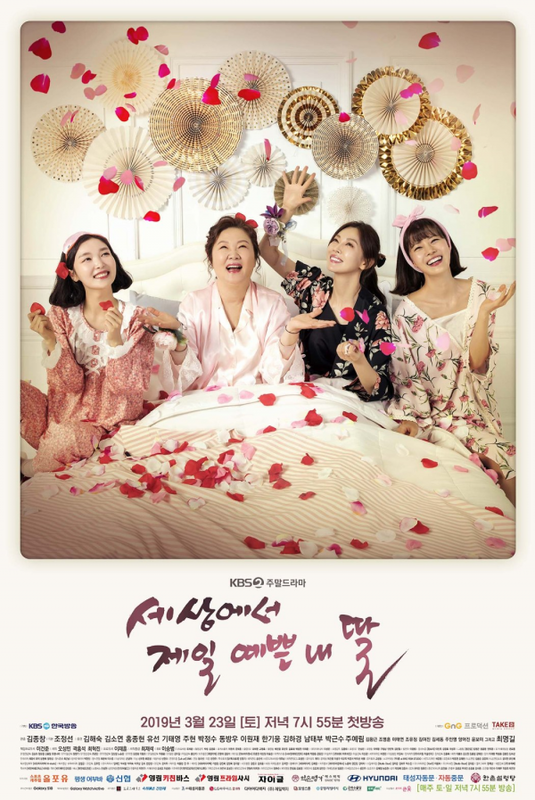 The series is about mothers and daughters in modern day Korean society, and it will follow "My Only One" in March. The production has reached out to Kim Hae-sook for the role of a mother with three daughters, while Choi Myung-gil has been offered the role of the second daughter's biological mother. So we have a complex family here, and no doubt a lot of baggage to navigate. Yoo-Sun was in the final stage of negotiation for the first daughter of Park Son Ja played by Kim Hae Sook. I think she is confirmed by not but we have to see the official confirmation. The same for Kim Hae Sook. 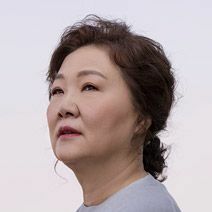 At KBS Drama Awards, they announced (when she presented an award) that Kim Hae sook will play in the upcominng family drmaa the role of the mother with three daughters. Actor Hong Jong Hyun received the offer as the protagonist of drama "My Daughter is the Kindest". If he accept he will play theb youngest son of Hansung Group owner as a marketing strategist. Though he hides his identity for three years, he is promoted to the position of a businessman/manager and overtook Kang Mi Rae`s position, as the manager. I was waiting for the confirmation of Kim So yeon from some time. I don`t know why it took so long for confirmation of the actors in this drama. I am sure in the upcoming days we`ll have a lot more confirmation for other cast. It will be my second family drama, and I am not particularly thrilled that Soyeon chose a family drama again but it is better than not having offers at all. I had time to get used to the news. I like the four main female cast and I hope the writer will give them good stories. I will keep my expectation really low and let see how it will be. I never watched a drama written by Jo Jeong seon, but I was looking for videos on You Tube, I read a little some threads of her dramas. From all her dramas I liked My too Perfect Sons and watched some scene with Yoo Sun and Lee Pil Mo. I was hoping that she will cast Lee Pil Mo again to be paired with Yoo Sun. Lee Pil Mo appeared in four dramas of writer Jo Jeong seon but it looks like he won`t be this time. (Congratulation on his upcoming marriage). It looks like we`ll have a noona romance in this drama. I was not expecting that. I hope the writer gives good stories. We have an official confirmation that Hong Jong Hyun received the offer as the protagonist. I read some rumors that actors In Gyo-jin and Kim Jeong-heon(1987) have received the offers for other main characters. Other names from suporting cast: Kim Hye Ok, Gil Yong Woo, Seo In Seok, Hong Yo-seob. Let see who will be cast in the end. We have an official confirmation that Hong Jong Hyun received the offer as the protagonist. The last one I watched was My Golden Life. I am sure that some of us (like me) have a favorite actor or actress that can make us watch a 50 episodes drama. Others are lucky and they like the genre and watch regardless of the cast. Unfortunatly, for me it`s not a "might watch" but a "must" so I have to pray really hard to Drama God to inspire the writer to gives us a good drama. I don`t want to suffer much watching it. I will look for frustrated gifs, just in case but I will remain cautiously optimistic. The theme is generous. There are so many problems that can be addressed through this drama: the women`s role in contemporary Korea, the working mothers, promotion opportunities for working women, avoiding marriage, infertility or divorce etc. I am sure the traditional values will collide with the modern life. If I can understand women like Park Son Ja (Kim Hae Sook) staying in marriage with a drunk husband, supporting a mother in law from hell for so long ( how I read in some source) just to provide a "stable" home for her daughters, I have other expectations for the daughters. If an abuse is happening, I want them to have a voice. Even if the mentalities did not changed much, I want all those things to be adressed and I want to see the mother looking for a better life too. I am curious how the writer will develop the stories. I don`t want to see many soap opera tropes in this drama. And please, no terminal illness plot either. One more thing.... if they will give us romance, I want that but it has to be good. Actor Kim So-yeon is in the process of examining the drama 'My daughter is the most beautiful in the world'/ "My Daughter is the Kindest". Management company Jwide Company said on January 11, "Kim So-yeon is receiving the proposal of 'My Daughter is the Kindest"
` My daughter is the kindest/My daughter, the most beautiful in the world, is a family drama that tells the stories of mother and daughter living in Korea. The intention was to show where the problems of the younger generation such as marriage and divorce are coming from. 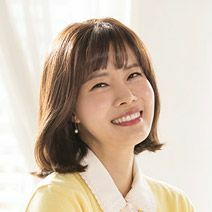 Kim So-yeon was offered the role of Alpha Girl Kang Mi-ri, the second daughter of Mimi's rice house in the play and the head of marketing strategy at a large company. If Kim Soo-yeon accepts the offer, it will appear for eight months after SBS drama "Secret Mother". Usually I am not surprised when a sure cast is just a positive reviewing soon after the news broke. Then, soon it is an official confirmation again. This time I am surprised. There were rumors that she is almost a done deal in early December but in January she is still considering? Maybe it is hard for the production to find a good Noona Donsaeng couple. If she won`t do the drama, it`s alright, but I want to know. I read an article on a blog, on Naver, about this drama. I like what the writer wanted to convey through this drama. The social system is still conservative and patriarchal and we`ll will see how women are facing difficulties now just like 20 years ago. We`ll see how a woman/ mother made sacrifices to give her daughters a better life, they are all educated women but they are still facing hardship. The society in which the daughter came out has not changed anything. Women have received higher education these days but they are still expected to be housewives after marriage. Co-parenting after divorce, the status of working women, especially working mothers, are aspects of everyday life that I hope will be presented in this drama. The women are taking the spotlight here and we`ll see their stories. Mother –daughter`s relationship and everyday problems and how they rely and lean on each other is what I want to see. This family drama has potential to be a good drama, let see the execution. Let`s hope next week we`ll have more news about the cast and maybe they will have the first script reading and they start filming. It`s time. Finally we have the fist cast. Yoo Sun, Kim So yeon and Kim Ha Kyung will play sisters in KBS family drama. Yoo Seon, Kim So-yeon and Kim Ha-kyung confirmed their casts in the three daughters of Kang Mi-sun, Kang Mi-ri, and Kang Mi-hye, respectively. The performance of these three sisters who are full of personality is already very excited. 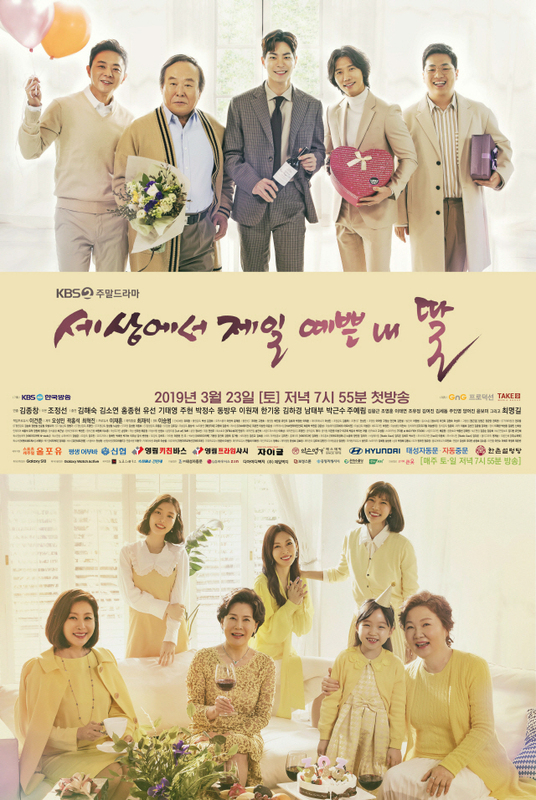 KBS 2TV New weekly soap opera 'My Beautifulest Daughter in the World' (Screenplay, Directed by Kim Jong-Chang, Produced by JNJ Productions) is a story that conveys comfort to mothers and daughters. It will stimulate deep sympathy by drawing the story of mother and daughter realistically. The first daughter, Kang Mi-su, played by Yoo Sun, is a working mom running fast between her company and home. high-income capable alpha girl. She is always in love with work and love, and she is the owner of affection for the mother who has suffered for her (she does not spare money for her suffering mother). I wish there is a better translation. I think from this day, we`ll hear more news about this drama. I don`t know why they delayed so much the news but I hope everything is on schedules. I like the sisters already. Maybe they are different in personality but I want to see them interact in the drama a lot. From the short character description, only Mi Sun/ Mi Soo (Yoo sun) seams to be married/ divorced and have a daughter. I like that she has a job and I think we`ll see her trying to balance work and family. Mi Ri is the second sister and she is, clearly, a career woman. She is not married but if she is, I can see her delying having a child because she established her career first, maybe she wants to get a promotion. When I read that Han Tae Ju, his junior colleague, will get the promotion over her, I felt so sorry for her. Kang Mi ri is a marketing strategy manager. It is not very clear how it will be. Han Tae Ju will a junior in her team and he will get her job, or he will be promoted to a higher rank? Either way, it is bad. I am curious how things will go from there. It is complicated. Mi Mye is the youngest sister. She was a promising novelist. Lovely. She is the only daughter who is staying more at home and maybe she will be helping her mother runing the rice house too. I read a rumor that Jung Hye-Sung will be in the drama and I was curious is she will be the third sister. It looks that it was just a false rumor. But I am glad that Kim Ha Kyung took the role. I don`t know her but if she got the part I think she fits the role. Soyeon and Yoo Sun have a close relationship in real life. This will be their third cooperation. They are already like sisters. I did not paid attention to the whole articles lately but It seems that there is another director for this drama. In early articles it was said that PD Park Man Young ( Manhole , The Virtual Bride, All About Marriage) will direct but now it says that this drama will be directed by PD Kim Jong-Chang ( War of Roses , Hateful But Once Again, The Thorn Birds, Miss Mamma Mia). So there was some turmoil in the production after all. The writer is the same Jo Jeong Seon. And the title is little different from the first news. We`ll see how it will be final name of this drama. Hong Jong Hyun and Ki Tae Young will be appearing in a new KBS 2TV drama! “My Daughter Who is the Prettiest in the World” (literal translation) is an upcoming weekend drama about the love-hate relationships between present-day mothers and daughters. KBS previously confirmed that actresses Yoo Sun, Kim So Yeon, and Kim Ha Kyung would be starring as the drama’s three daughters. On January 21, the drama announced that Hong Jong Hyun and Ki Tae Young had also joined the cast. 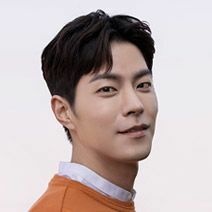 Hong Jong Hyun will be playing the role of Han Tae Joo, a employee of a large company who works in the marketing department—and who also happens to be the owner’s youngest son. Despite his privileged status, Han Tae Joo is such a hard worker that no one would suspect him of being anything more than a diligent employee. Ki Tae Young will be playing the role of Kim Woo Jin, the head of a publishing company that he inherited from his father, as well as its editor in chief. Because he left Korea to study abroad from an early age, Kim Woo Jin has always lived a lonely life. Hong Jong Hyun has confirmed and now we found out that Ki Tae young also has joined. Han Tae Joo works with Kang Mi ri and I suspected that he can be the love interest for her or maybe he is the stepbrother (who knows?). We need more information and character chart. About Ki Tae Young... I was thinking earlier (just a funny thought) how it will be to be cast to play along with Kim So yeon knowing that his wife, Eugene, worked with Lee Sang Woo (who it is said that he resembles her husband) and now it is the reversed situation? But from the character description we find out that he has a publishing company. Kang Mi hye, the youngest daughter is a novelist. They could be in the same story. It`s too early to make speculation. Let see the character chart. Hong Jong-Hyun and Ki Tae-Young are cast for lead male roles in KBS2 drama series “My Prettiest Daughter In The World ” (literal title). Already cast in the drama series as lead female characters are Kim So-Yeon, Yoo-Sun and Kim Ha-Kyung. The three women will play sisters in the drama series. For Hong Jong-Hyun, he will play lead male character Han Tae-Joo. He is the youngest son of a family that owns the company where he works. Han Tae-Joo works with Kang Mi-Ri (Kim So-Yeon) and they get involved in a romantic relationship. “My Prettiest Daughter In The World” first airs March, 2019 in South Korea (takes over KBS2’s Saturday and Sunday 7:55 PM time slot after “My Only One.”). I will wait to see with English title they will choose in the end before I will change it for this thread. "Second daughter Mi-Ri cares about her mother a lot. She is confident in herself and good at her job. Mi-Ri gets involved in a romantic relationship with her co-worker Tae-Joo (Hong Jong-Hyun). He is the youngest son of the family that owns the company." It`s official. Soyeon will be in a noona romance in her family drama My Daughter is the Kindest/ My Prettiest Daughter In The World. I did not watch many family dramas (I watched just one ) but I hope the noona romance is well received by audience of family dramas. There are a lot of noona romances lately. It is not my favorite but I have nothing against it either. All I want is a good story. So far, the drama looks promising. I did not sensed makjang and I think it will be a normal and warm family drama. Maybe it will be boring for most people but I prefere it boring than over the top situations. The last time Soyeon did a noona romance was with Sung Joon in I Need Romance 3 and they also had ten years difference just like Soyeon and Hong Jong Hyun.They made a succesful couple on screen. I am sure that the difference between characters will be to 4-6 years. If the story will be good, the audience will love them together as well. I already suspected that Mi Ri and Tae Ju will have a relationship and the synopsis has confirmed it. I am sure she won`t know who he is and that will complicate their relationship. It will be very hard for her to know that her junior colleague was promoted over her, and then to find out who he really is. The drama won`t keep the things very easy. Beeing in a relationship with a co-worker is not a good decision, especially if one of them is the superior. Why she is in such a complicated romance? I also wonder if there will be a second love interest for Mi Ri. As I said, I love that Mi Hye, the youngest daughter, is a novelist. I also like what I read about Ki Tae Young`s chatacter, Kim Woo Jin. He sounds like a really nice man, a little lonely, but a warm and inteligent man. He sure needs a little spice in his life. The first daughter is Mi Sun (Yoo Sun), a working mom. He is married and I am curious who will play the husband. I also wonder if they have a good marriage. If not, she will have another love interest in this drama. Their mother (Kim Hae sook) is a tough lady who came through a lot of difficulties. I wonder how Choi Myung Gil will connect with the characters (beside being the biological mother of Mi Ri). Looking forward to this drama. Bring it on! Hi, @AshleyL. I am glad you have joined the drama. Yeah, the writing is very important. I also hope it will be a good drama. So, there are family dramas with noona romances. Fine. Good to know. I admit that I am worried a little because I don`t know how the writer will make her story. I know it is a family drama but I want a good romance. I want passion/ a hot relationship and cuteness as well. I read the synopsis of "Famous Princess" and it gave me the same vibe as this drama. I did not see villians who wanted to hurt the heroines no matter what, I saw just everyday problems who they have to solve. Of course, I know it is a drama so I expect all kind of problems. I liked what Ki Tae Young said about the drama: " I had a longing for a warm family drama and I'm glad to be featured in this work. I would like to ask you for your attention because I will do my best". I am waiting to know how Choi myung gil`s character will connect with Mi Ri and Sun Ja. I am curious what was the relationship between Sun ja and Mi Ri`s biological mother. About Sun Ja...Some sources say that Sun ja raised her daughters alone, and I read in another source that she has a drunk husband and a mother in law. It is good that KBS will translate the character description. I have to wait to see how it is to make the changes on the first page. It was nice talking to you. Thanks. Actors Choi Myung-gil, Joo-hyun, Park Jung-soo, and Myung Gye-Nam have completed their lineup of gifted actors. Choi Myung-gil turns into Jeon In-sook, a member of the family of Han Tae-ju (Hong Jong Hyun) and a female executive of large corporation. Jeon In Sook is a person who has devoted herself to his family for 30 years and raised his nephew. Ju Hyun is separated from the first daughter, Kang Mi-sun (Yoo Sun). A journalist, he is preparing a memoir after his retirement and is ambitious for innovation and change in the house. Park Jung-soo plays Hamyok, the wife of Jeong Dae-cheol and the mother-in-law of Kang Mi-sun. Though she has lived for 30 years with her family, now her life is a top priority. Myung Gye-Nam plays Han Jong Soo, father of Han Tae Joo and president of large corporations. As he loves his youngest son, he will emit a distinctive charisma. We know a few of the supporting. I wish there is a better translation but I understood the basic. As I expected, the biological mother of Mi Ri is close to Han Tae Joo and his family. I just knew it. At first, I thought she will be his mother or at least his stepmother. I am glad that she works in an executive position at the same company Mi Ri works. Now I know their connection through the drama. She devoted herself for Han family but I am not sure about the Google translation about her rasing her nephew. Is Jeon In-sook related by blood with Han family or she married in the family? The later, for sure. Maybe she married a relative of Han Jong Soo. It is not clear for me about Joo Hyun`s character. The RAW translation confuses me. He is the father of Kang sisters? I don`t think so. A better explanation it will be that he is the father in law of Mi Sun. He is Jeong Dae-cheol, the husband of Park Jung-soo`s character, who is the mother in law of Mi Sun. Yeah... that`s it. We know Mi sun`s family in law and let`s see who will play the husband. I recently saw Myung Gye-Nam in Ms Ma. This time he plays the president of Hansung group and he is the father of Han Tae Jo.